SmartG100 is a full-featured development tool for uBlox Leon-G100 GSM/GPRS module. It features on-board voltage regulator, antenna connector, SIM card socket and more. DIP switch is provided for configuring communication lines with the target microcontroller. It can be connected to peripheral modules via IDC10 connnector and 2.54mm pin header. Mounting holes allow easy integration in your designs. 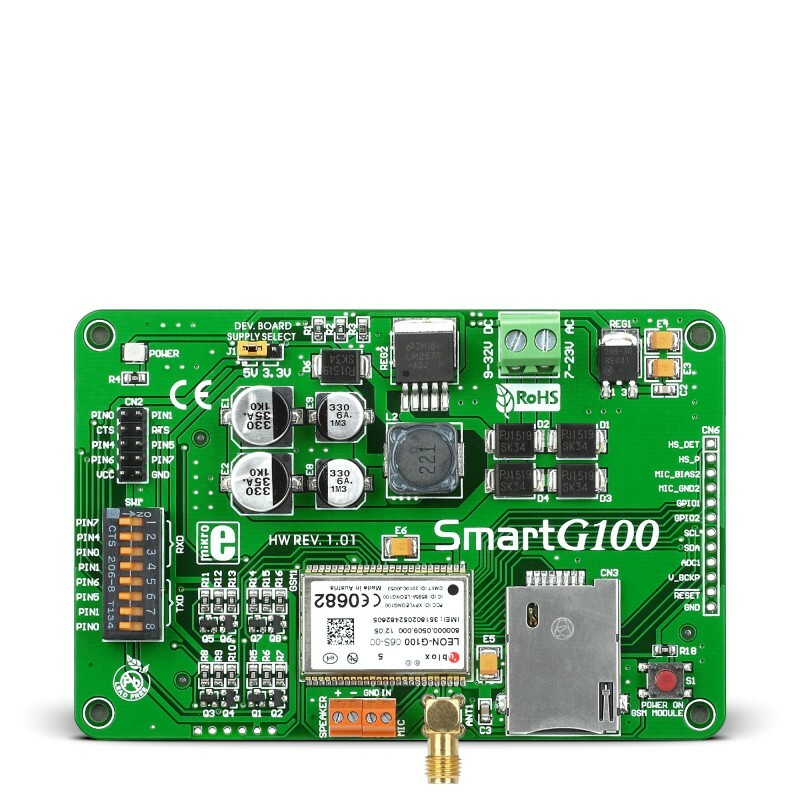 Just provide the board with the power supply voltage (9-32V DC or 7-23 AC), insert SIM card, connect GSM antenna and you are ready to develop GSM-GPRS based devices. Key Features Embedded TCP/IP and UDP/IP stack. Stable on-board switching power supply. Low Power consumption (standby current: less than 1.6 mA).